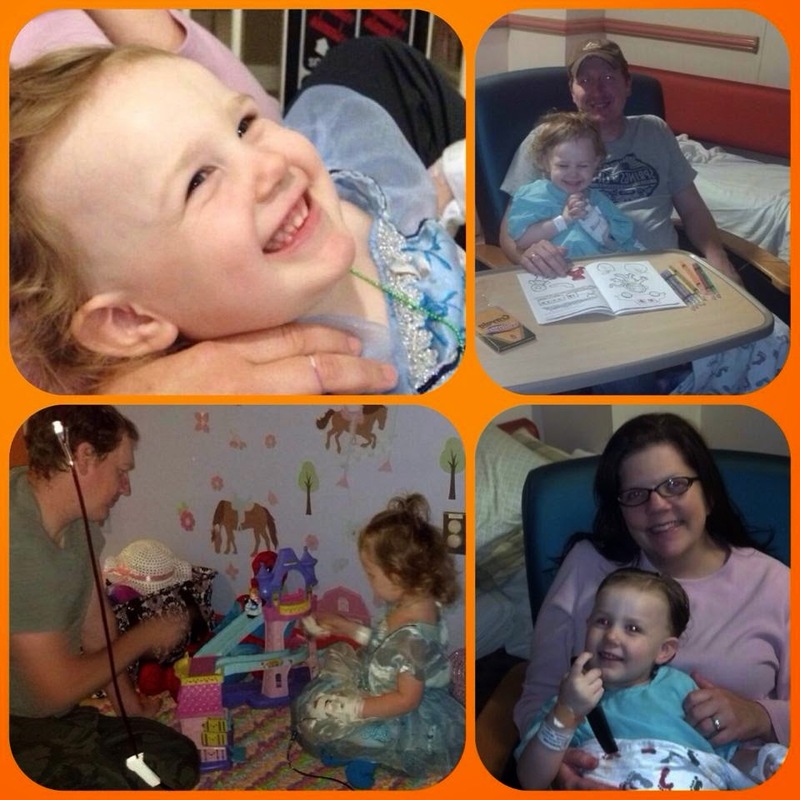 Lauryn was diagnosed with Leukemia on March 27, 2014. She is currently hospitalized in the DC area undergoing chemotherapy to fight this terrible disease. Lauryn is Linda Payne's granddaughter...many of you in the stamping community probably already know sweet Linda! family and I will put your name in the running. I created this banner to send to Lauryn. "Classy Monograms" and "Easter Peeps". I hope she will enjoy seeing this on her wall. Thanks for stopping by today and enjoy the hop! We appreciate your support of Lauryn! Don't forget to leave a comment for the candy. Patti this is so adorable, everyone who sees this will fall in love with it!!!! What a fun way to decorate Lauryn's hospital room! The images are just darling! Wonderful banner for Lauryn!!! She will definitely love it. The images and a saying is superb. Patti, your banner is a great project for Lauryn. I am working on a card with one of the digis that I received when I made a donation. You ladies are doing a wonderful event for the family. LOVE you banner. This should make Lauryn smile. So cute. I am sending at least one card tomorrow but more to the parents to keep the faith. Thanks for joining the hop. oh my gosh, this banner is gorgeous! I love how you used Cec's word art on the last panel. so special! What a gorgeous banner for Lauryn, Patti! Everyone will just love seeing this in her room! Such cute images! Wow, what an amazing job on the wall hanging, it's bound to bring some joy with it. Awwww.....love love love your wonderful and adorable wall card! What a great idea and one I'm sure will be MUCH Loved. I think she will love it, it is darling! OMG how awesome is this banner - very creative. It will look very nice in her room. Very sweet banner - Lauryn will love it! I will definitely make a card for her. Wow Patti! That banner is just gorgeous and such a great idea!! Wow, Patti, this is stunning. Love the banner with all the cheerful little animals. Will look great and really brighten up her hospital room. Great project. I love your card and she will too! I am going to work on a card this afternoon and get it in the mail tomorrow. My prayers will be with her and her family too. Sending out a card to Lauryn. Keeping her and the family in my prayers also. So cute! thanks for playing ABAC challenge! Your banner is adorable Patti! Lauryn's room is going to be FILLED with amazing goodies! wow! Wow, Patti, your post is wonderful and your wall hanging is just so fun, pretty and creative too! Love what you did! Patti - what a fabulous banner! She is going to love seeing this hanging in her room! such a great cause! Oh what a wonderful banner you have made for the sweet little Lauryn. I will definitely send her a card. God Bless you for doing this and her to get well soon. Patti, you have created such a beautiful banner. I know Lauryn is just going to love it. WoW!! Patti! That banner is awesome and what a creative way you've put it together. Hi Patti, I adore all of the beautiful creations for a very special girl and her family will love it. Thanks for getting this going! Your banner for Lauryn is so adorable with all those baby animals! Perfect to dress up the wall in her hospital room! Oh, I lOVE your banner - Lauryn will, too! - I mailed my card for Lauryn today - such a sweetie! That banner is so cute!! I am going to send card to Lauryn and her family! Thanks for being a part of the hop!! That banner is so cute! What a great gift for her to hang on the wall! Patti - Love this! Thank you so much for opportunity to participate is something awesome and come away with Inspiration in more ways than one! Oh, that banner is the cutest thing! She is going to love all the adorable images. I will be making my card for Lauryn tomorrow and sending it off. What a wonderful supportive gesture from everyone! Do hope Lauryn wins her fight and thanks for sharing her story. You have created a fabulous banner I'm sure she will love it. Thanks for joining in at Anything But A Card this time. This adorable banner is sure to cheer up Lauryn and her family. I've been inspired by all the great projects on the hop and am off to my craft room to make my own card to send to them. Thanks so much for sharing! oh Patti what a beautiful banner for little Lauryn. Patti, I'm sure Lauryn will love the banner - it's very pretty! I will send Lauryn a card. Wow this is just fantastic! Love all the images and colors and what a great cause to support. Thanks so much for joining us at Doodle Pantry Challenge! Beautiful banner for a sweet little one who has such a terrible battle ahead of her! Hugs go out to her, and you too! Thanks for sharing this with with us at the Doodle pantry Digital challenge #45! I love banners and this will be so cute up in Lauryns hospital room. Thank you for helping to support and cheer up her family. Off to make my own card for Lauryn! I love your banner, I am sure it will make Lauryn feel better. Wonderful banner - I am sure she will love it!!! Oh my gosh, Lauryn is going to love this fantastic banner. Each panel is so fun and so well made. As always, beautiful work. So glad you were able to join us this month's DPDC45, Patti! Take care!! Your banner is so sweet and fun, perfect for such a special girl! Thanks so much for joining us at Anything But a Card!